In 1995, the personal and professional archives of the Mexican architect Luis Barragán were acquired (including the rights to the name and the work of the architect) by the Swiss furniture enterprise Vitra. Frederica Zanco, wife of the owner of Vitra, had received these archives as an engagement present, rather than a solitaire diamond. 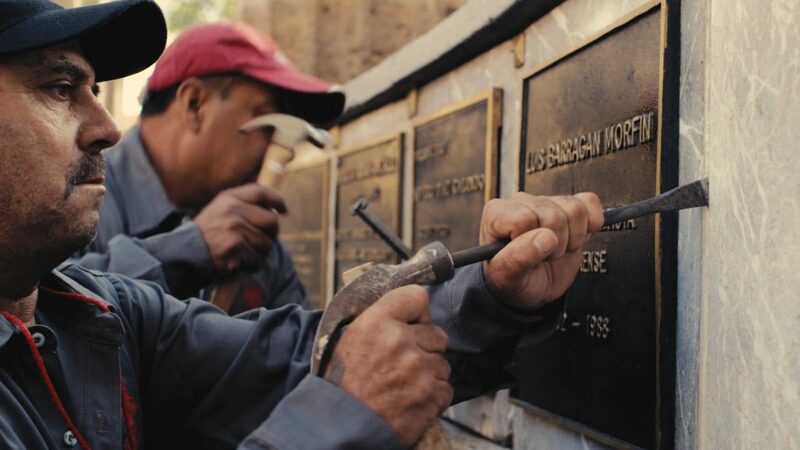 In this video, The Exhumation, the artist poses the question: how to navigate the laws that render Barragán in public space? The artist managed to convince the Mexican congress and the family to use the ashes of the architect to turn them into a diamond. Mounted in a ring, the diamond was intended to serve as a bargaining chip to convince the Swiss heiress to retrocede the archives to the Mexican state. By developing long-term relationships with various personal, government and corporate entities, Magid explores the intersection of psychological identity with national identity and repatriation, international property rights and copyright, the author and the property.